Remember, Remember the 5th of November – in 1935? It was Bonfire Night and also Robert Heber-Percy’s 24th birthday party. His birthday present from Lord Berners was... An entirely useless 104 ft high Tower. The Grand Opening and birthday celebration was a huge firework party, at which Berners’ guests were all allowed to burn up to six effigies of their enemies. Even six was deemed to be “most inadequate” by the guests. 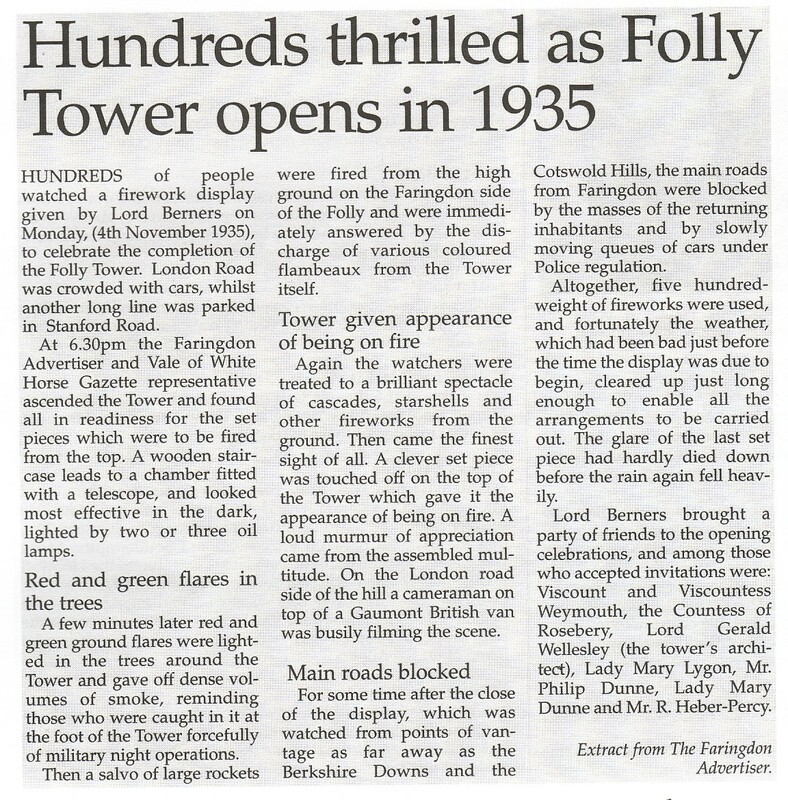 Ever since that first bonfire beacon in 1935, the Hill, the Woodland and the Tower have become not only an iconic landmark over the Vale, but also a symbolic beacon that is integral to Faringdon's identity. became an officially registered lighthouse. Unique and utterly pointless, it is the only lighthouse that can’t be seen from the sea. Berners would have approved. favourites. The random searchlight perhaps? Or the giant white star?